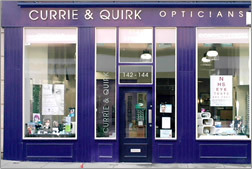 All our Optometrists are fully qualified and registered with the General Opticial Council. Treatment for Dry Eye and Lid Inflammation, including Blephasteam, a non invasive system which uses heat and moisture to treat Meibomian Gland Dysfunction. This will be done in the practice and the patient monitored and checked for improvement. We have also introduced a screening programme for Age Related Macular Degeneration which uses patient eye and lifestyle data to predict the possible incidence of onset of ARMD and offering advice on management of the condition. 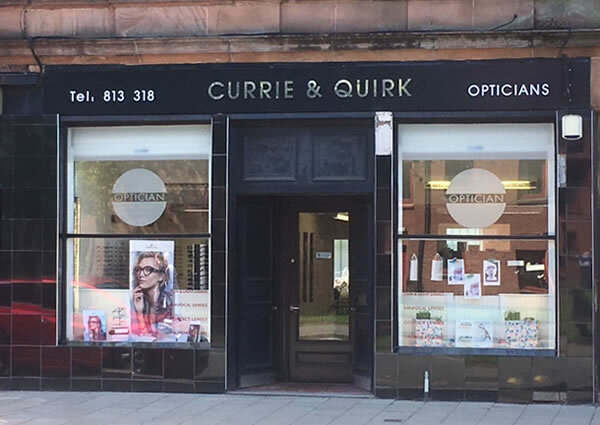 Currie & Quirk Opticians are one of the few opticians to have the latest Optical Coherence Tomography (OCT) technology in practice to offer full 3-D scanning and mapping of your eyes which allows us to monitor the individual cells and layers of the retina. This scan can provide us with images of the cell structures at the back of your eyes which helps us with early diagnosis, and therefore treatment, of eye conditions at the earliest opportunity. This new technology is normally only available in a hospital setting and is not therefore, part of your standard NHS eye examination. An additional fee may be required for OCT scanning and results. Please ask us for details. 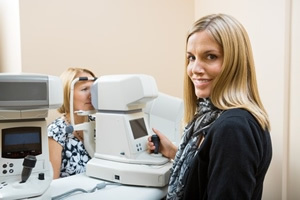 The key to good vision is having regular eye examinations. 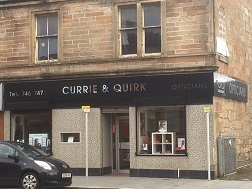 Their importance cannot be overstated because they provide an essential health check as well as helping you to see better with a current prescription.